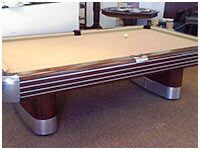 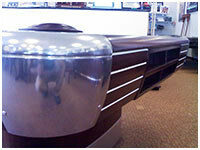 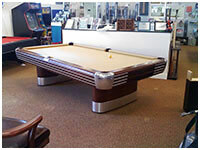 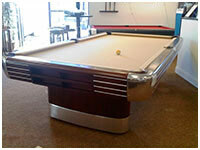 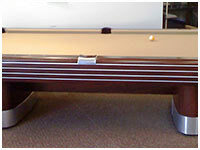 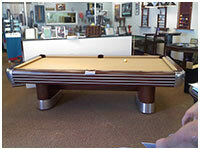 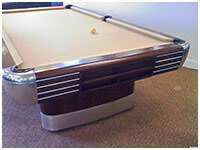 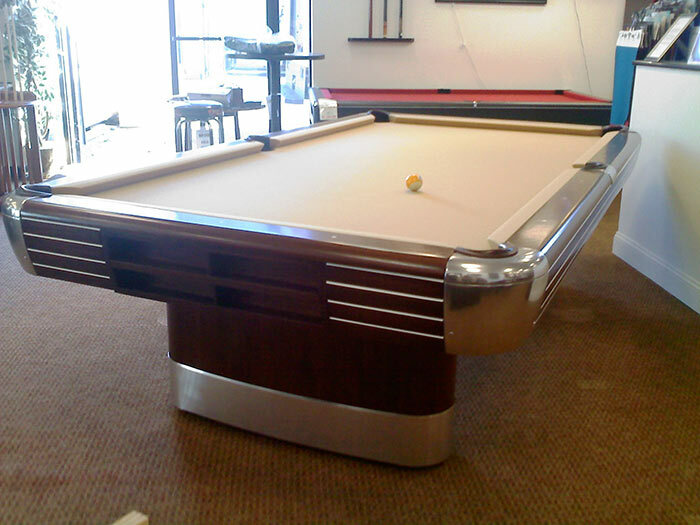 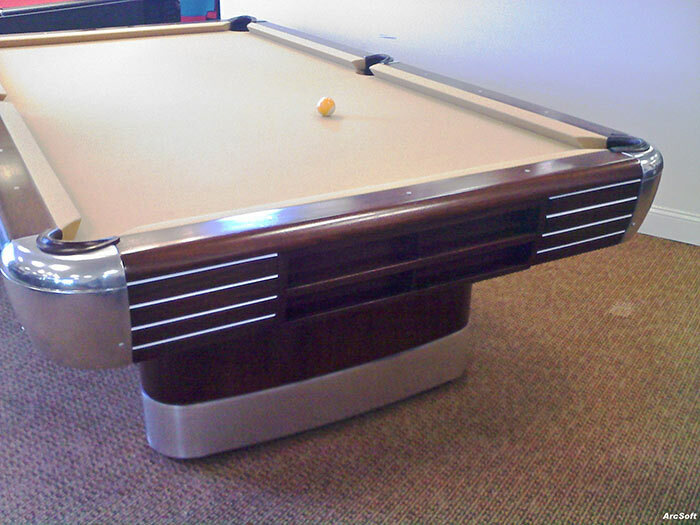 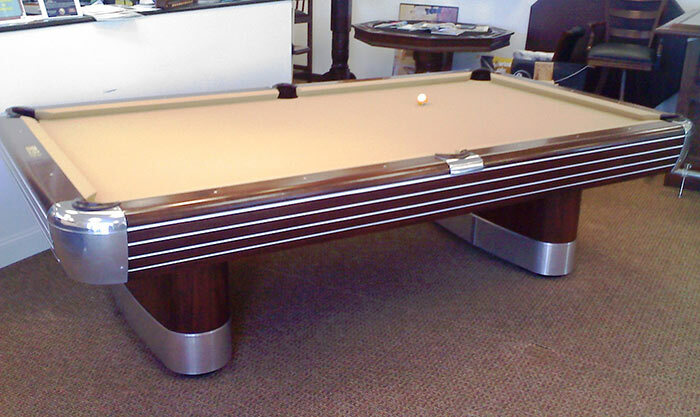 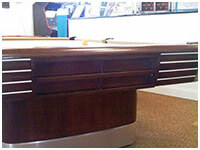 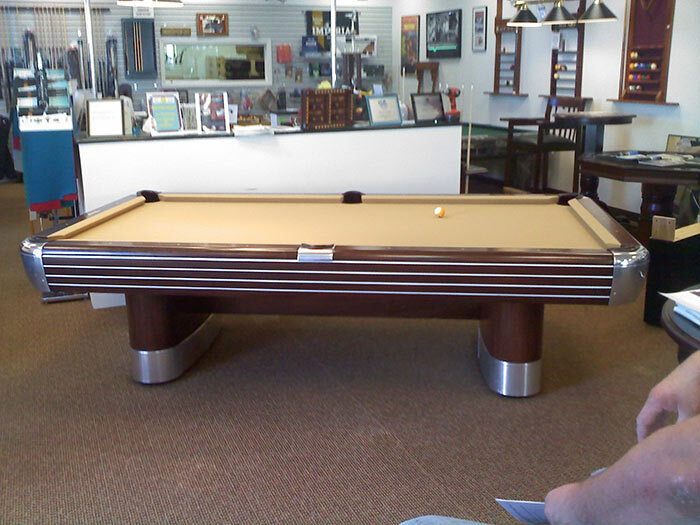 Brunswick Anniversary- Made in 1945 to celebrate the 100 year anniversary of the first Brunswick Billiard Tables. 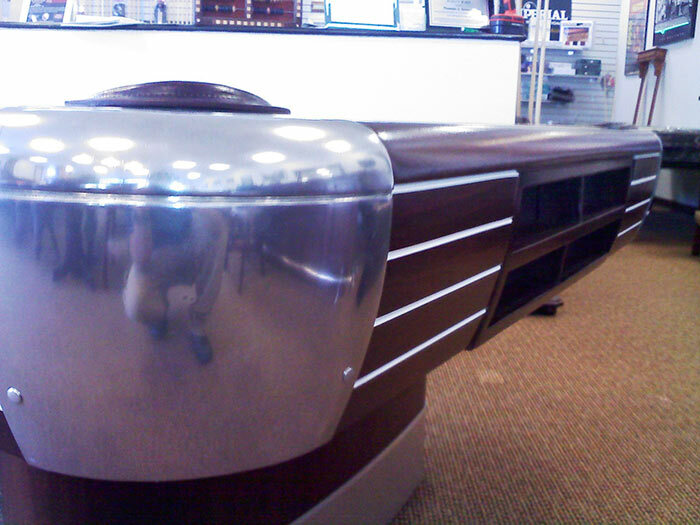 This Art-Deco "Commercial" style table helped rekindle the spirit of Post-War America by bringing new life to the Pool Hall Industry. 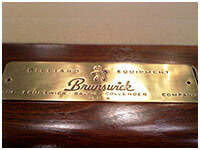 Leading the way for a line of Legendary Tables known as the Gold Crowns; A standard in the commercial industry. 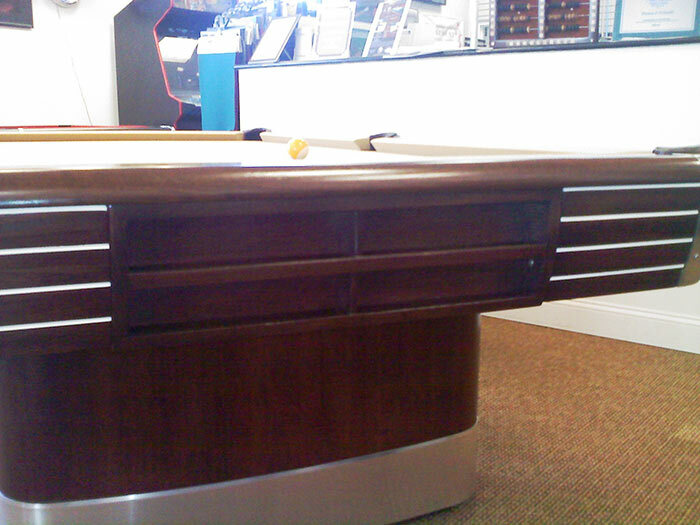 This table is Completely Restored to its Original Design and Features. 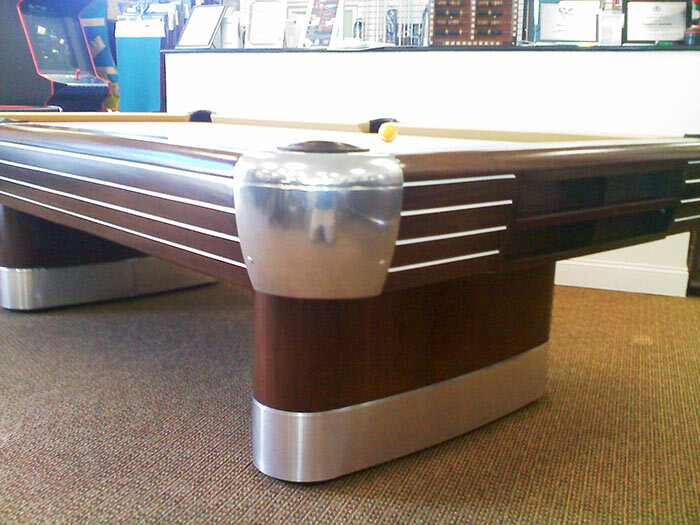 Restored and Refinished by hand; We tried to repeat the determination, pride and spirit of 1940's manufacturing.